© 2013, Thomas Land Publishers, Inc. 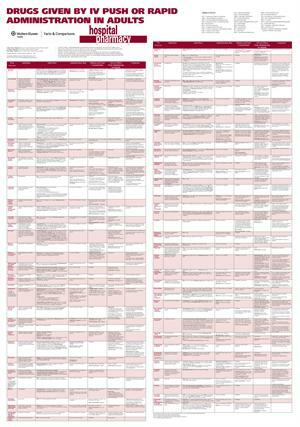 This is a much-anticipated update of one of our most widely used Wall Charts. It is an excellent resource for standardization of IV PUSH rates in your institution. Also use it for easy to access, evidence based, information on IV administration rates for IV PUSH.